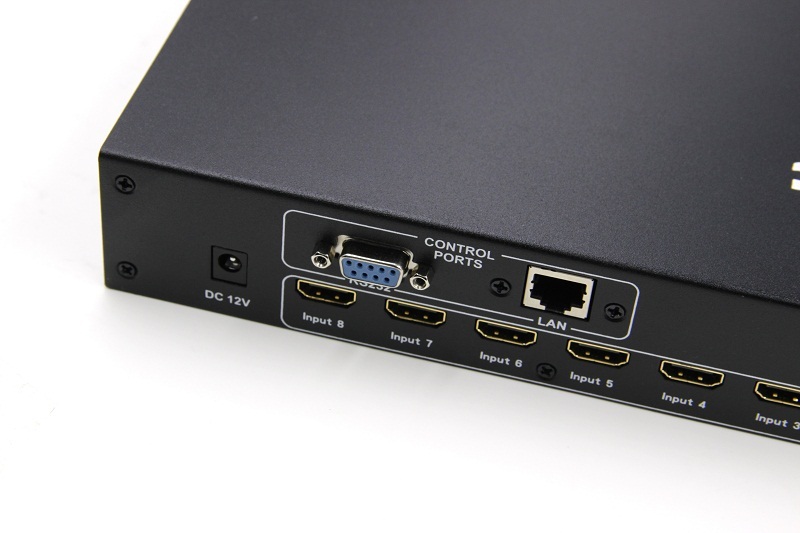 This 8x8 HDMI matrix routes 8 Ultra HD sources to eight 4K Ultra HD displays with HDMI inputs. 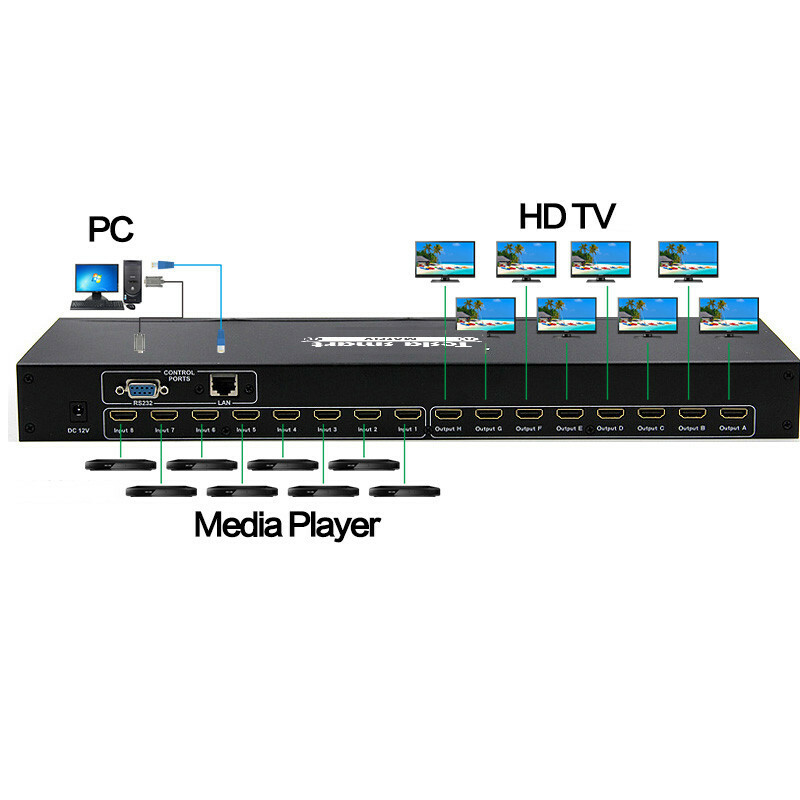 Each source can be routed to any display, using the front-panel buttons or the IR Remote Control. 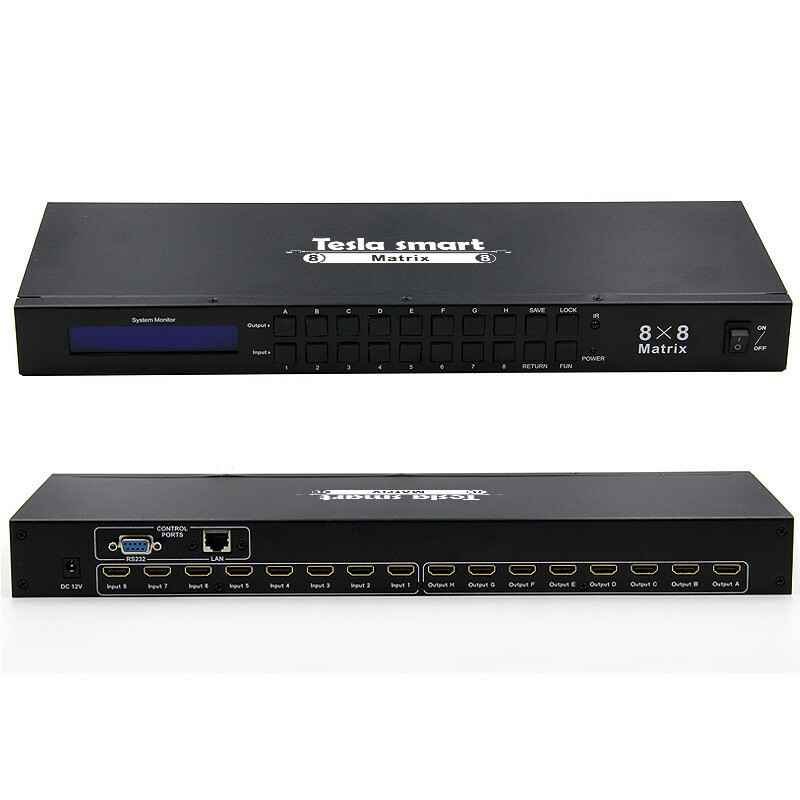 The matrix can also be controlled via RS-232, IP interface. 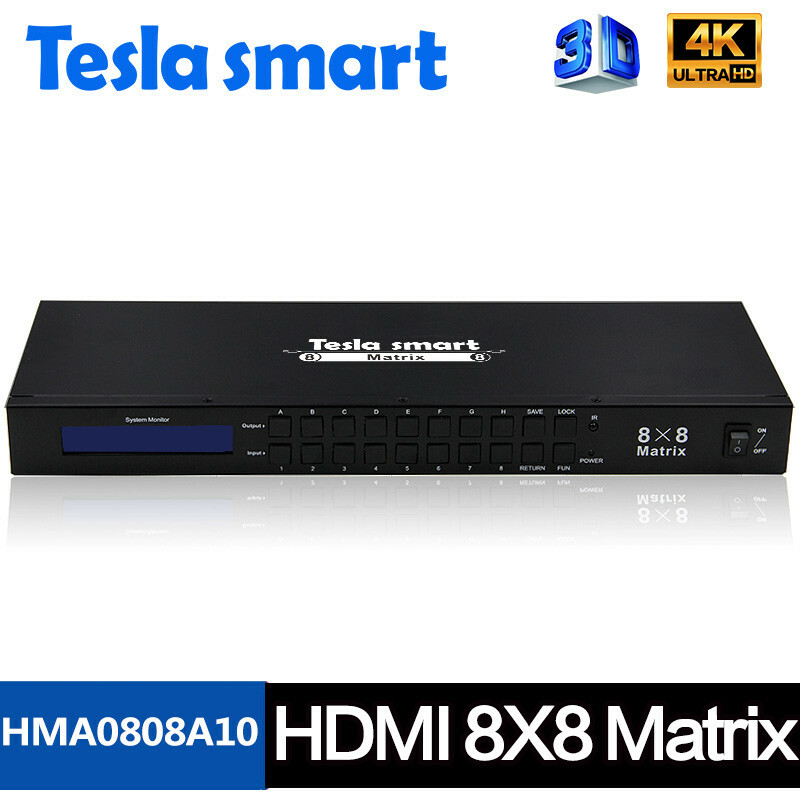 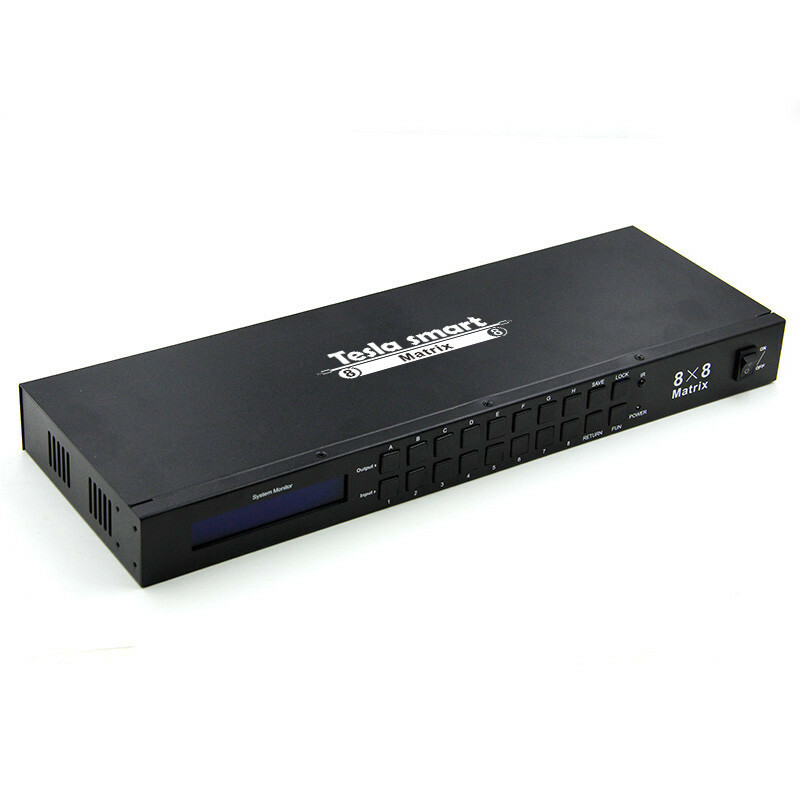 With smart EDID management, make it compatible with most of the HDMI source and sink devices.